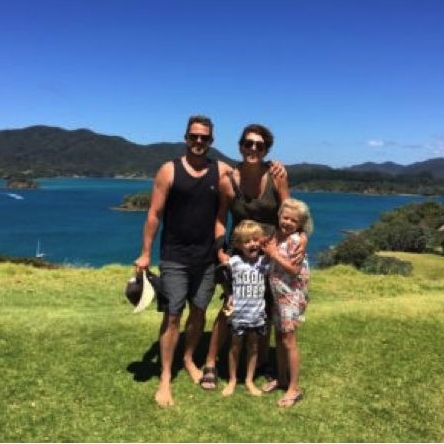 We had the pleasure this summer holidays of spending five glorious days exploring a new spot for us in New Zealand – the Bay of Islands, and I have to say it was spectacular. I am not sure if any of you visit the bay regularly, but I bet a few of you do, as it is home to some of the most gorgeous scenery and places to explore. We were lucky enough to fit in a few adventures in our short stay and I thought I’d share them here as they were all worth doing. So if you’re venturing to Russell or the surrounds, if it’s somewhere you already visit or it’s on your to do list, read on. Our first stop after we got our campsite set up at The Russell Top 10 was dinner at The Duke of Marlborough Restaurant. We had booked a table ahead of time which was lucky as it was full to the brim outside, and with the warm evening breeze, beach setting and live music, you could see why. The Mojitos were the bomb and the food was amazing, with a great kids menu too,I would highly recommend eating here. In fact, we went back for lunch the next day. The second day was when we had our tour booked with Fullers GreatSights on their Hole in The Rock Dolphin Cruise. I have to say I was pretty excited about this one as I have always wanted to see the majestic Motukokako Island and to be able to take Franca and Ashton this summer was a huge bonus. It lived up to expectations and though the wind was up and it was a little rough we still made it through to the sounds of lots of oohs and ahhs. The downside was that we spotted no dolphins this day, but you can’t win them all right? We also had a little stop over at the beautiful Otehei Bay where the walk to the top of the hill for some breathtaking views is well worth doing. 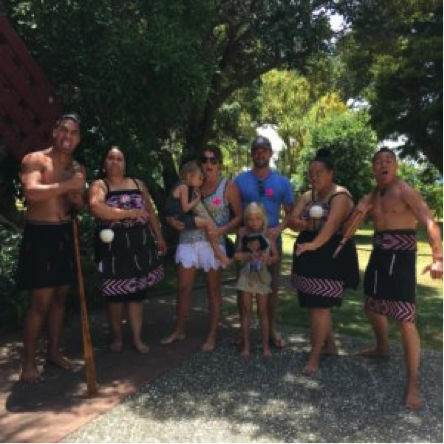 The third day’s itinerary had us catching a local ferry across to the Waitangi Treaty Grounds for a half-day tour. I love being able to educate Ashton and Franca about their heritage and culture, as well as things that may pop up at school in the future. Life lessons are so important and being able to take them along to a tour of the Treaty Grounds and a cultural show was awesome. They loved wearing the little portable headphones and listening to our guide teach us all about the importance of this unique part of New Zealand. The little ‘find the item’ hunt along the way, kept them interested and they got a little reward at the end too. The cultural performance had them in awe and lunch at the Whare Waka cafe with the little ducklings pottering about and some yummy food ended the morning perfectly. After a fun morning in the sun we caught a local cab down to the township of Paihia to catch the ferry back to Russell. The kids were not having a bar of walking the half hour into town so it was $10 well spent. We happened to get dropped off right outside the new Movenpick store so it would have been rude not to, right?! On our last day we packed up camp and headed south home with a stop at the Kawiti Glow Worm Caves, as this is something I knew Franca and Ashton would absolutely love. They’ve asked about glow worms in the past as I’ve told them stories about how we grew up being able to see them at Kawau and they have always wanted to go and hunt them out. Needless to say, they absolutely loved the whole experience. It was a very quaint and rustic family run business. I was not allowed to take photos inside but be sure there were plenty of glowworms to make this natural wonder well worth a visit. We loved our time in the Bay of Islands so much we’re planning on heading back sometime soon so I’d love to hear your suggestions and must do’s for the winterless north. Thanks to the Bay of Islands Marketing Group for helping us with this trip.